Αναρτήθηκε από Γεωστρατηγική. στις 1:01 μ.μ. Saint Cosmas of Aetolia (sometimes Kosmas of Aetolia or Cosmas/Kosmas the Aetolian or Patrokosmas"Father Cosmas") (Greek: Κοσμάς Αιτωλός, Kosmas Etolos) (born at some time between 1700 and 1714 – dead 1779) was a monk in the Greek Orthodox Churchand an important figure in the Greek Enlightenment. 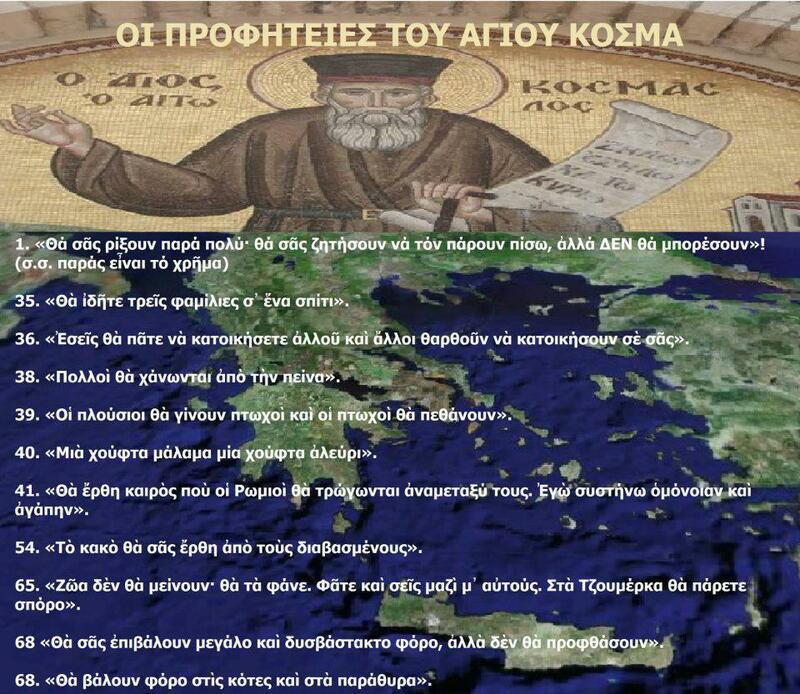 Cosmas was officially proclaimed a Saint by theOrthodox Church of Constantinople on 20 April 1961. The memory of isapostolos Cosmas of Aetolia is honoured on August 24, the date of his martyrdom. Θέμα Υδατογράφημα. Εικόνες θέματος από Roofoo. Από το Blogger.